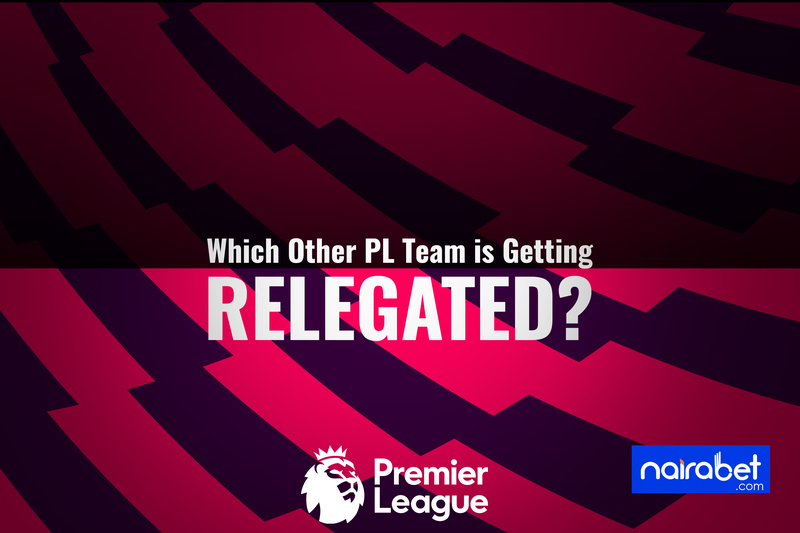 Which Other PL Team is Getting Relegated? It’s been difficult to have all 20 Premier League sides play in the same weekend. It’s that time of the football season where some clubs have a tighter schedule than the others, hence the rescheduling of games. Remember, four English clubs made it to the quarter-final of the UCL while two still remain in contention to win the Europa League. This is why some teams have played 31 games (Brighton) while some others have played 32 and 33 games respectively. It’s only a matter of time before the numbers balance themselves out. The battle for who wins the league still continues at the top of the table however. Down south, the fight for survival is very much alive too. Most of the headlines and news about the league has been about the title chase. It may deserve more attention than the relegation battle down below. However, it’s still imperative to know which team is going down this season. So far so good, two teams have played so badly that they’ve been relegated. Despite spending over £100m on 12 players after gaining promotion, Fulham has been relegated. The 76 goals they’ve shipped in so far this season makes theirs the worst defense in the league. Huddersfield’s poor scoring record has cost them a place in the Premier League. Scoring 19 goals in 33 games is not enough to stay afloat in the PL. With those two teams confirmed, one relegation slot must be filled by the end of the season — or even before. Newcastle, Southampton, Cardiff and Brighton are the four teams currently too close to the relegation waters. For most of these teams, they only have a handful of games to save themselves. The next five games they will be playing is crucial to whether or not they will join Fulham on the journey down south. Click here to bet on all the remaining Premier League games before the season ends. Two wins in their last two games has given Burnley a huge boost. Those wins came after Sean Dyche’s men lost four games in a row. Although they have managed three wins in their last five games, Southampton has also lost four of their last seven PL games. Cardiff City is currently 18th on the table. They have lost five of their last six PL games. While other sides have 30+ points, Cardiff is the only side with 28 points. Things get even more interesting when you consider the games left for them to play. Two games against sides in the top six and two against fellow sides fighting to avoid relegation. The future seems bleak for Cardiff. They’re going to have to pull off the impossible to stand any chance of playing top-flight football next season. It’s football, and anything can still happen. A number of teams, including Cardiff, can still get relegated. Which team do you think it will be?